Gustavo Mora was born in Mexico and studied Studio Arts at the Institute of Visual Arts in Puebla Mexico where he was influenced by Expressionism, Mexican Graphic Arts, as well as, literary and cinematic works. 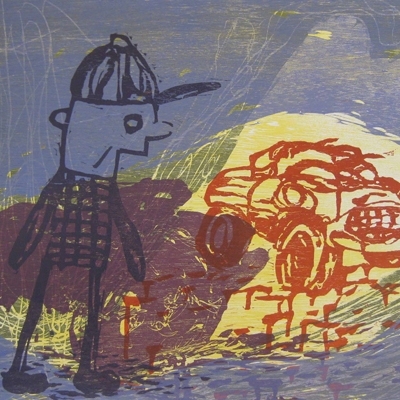 Mora’s work is based on his drawing practice and is applied to different techniques in intaglio, relief printmaking and lithography. He has participated in exhibits and art events in Mexico, Argentina, Cuba, Costa Rica, France, Romania, Greece, the United States and Japan. Mora has been member of the California Society of Printmakers since 2008 and is currently teaching relief printmaking at Mission Grafica.